How does the Laser Lipo™ procedure work? 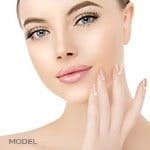 Laser Liposculpture is a minimally invasive procedure using only local anesthesia (tumescent) and very small cannulas (tubes) gently inserted under the skin. The cannula is moved to and fro and suctions out unwanted fat cells. This can be combined with a laser in order to tighten the skin. Micro liposculpture is a minimally invasive procedure and is performed entirely under local anesthesia. Because general anesthesia is unnecessary, the procedure is very safe. All procedures at MilfordMD Surgery & Laser Center are performed in our on-site office based procedure rooms. Who is a good candidate for Laser Liposculpture (liposuction)? If you have areas of fat that will not respond to diet and exercise, then you’re a candidate for liposuction and Laser-lipolysis. Ideal candidates are in good health, of normal body weight and have realistic expectations for the results. What body regions can be treated with Laser Liposculpture? Liposculpture can be used to treat a wide range of areas including: face, chin, neck, breasts, chest, back, abdomen, love handles, hips, buttocks, thighs, knees and more. Multiple areas can be treated in a session. 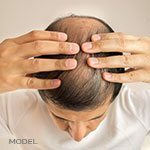 If many areas are being treated, it may be advisable to split the treatments up over more than one day. The treatment session may last from two to six hours depending on how many areas are treated. The procedure may improve the body’s shape and may improve cellulite to a certain degree, especially if combined with laser-lipolysis such as our ProLipo or Smartlipo™ treatments. 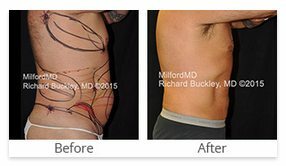 Call our MilfordMD Surgery & Laser Center today for your Laser Liposculpture consultation with Richard Buckley, MD at: 1-800-664-1528 or 570-296-4000.